*Updated* Terry Lucarelli has confirmed she is resigning her position of Municipal Leader for the GTRL. GallowayTwpNews.com has received confirmation from multiple sources including members of Galloway Township Council on the grounds of anonymity stating a letter was sent by Terry Lucarelli to the Galloway Township County Committee last week indicating her intent to resign as Municipal Leader. 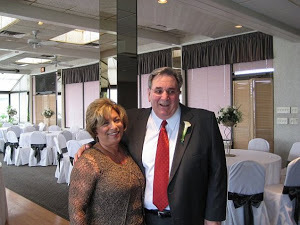 Lucarelli has been the Municipal Leader for the Galloway Township Republican League for many years. News of this broke through the Republican and Democratic parties this past weekend. Individuals we spoke with on the Republican side were excited to see the change occur. Former Mayor Keith Hartman who had a falling out with Lucarelli in 2011 when he denounced the GTRL during his re-election commented on Lucarelli's anticipated resignation stating, "It's good news for the local party" Hartman stated. "In my opinion her departure means good republicans will no longer be suppressed. I imagine the GTRL will now begin cleaning house and replacing the cronies that were put in place to do her favors." Hartman who is now a registered Independent has stated, "I would consider rejoining the GTRL now if it is put in the right hands. There certainly needs to be better checks and balances with the county committee so the municipal leader doesn't become a king maker." Lucarelli and her husband Frank have previously come under intense scrutiny by the former publisher of GallowayTwpNews.com, Harry Scheeler. Scheeler launched a website dedicated to Terry Lucarelli detailing the Lucarelli's past. The change over of leadership for the local Republican Party in a powerful election year, speaks volumes as to the changes that are about occur. In October 2012, Mayor Don Purdy announced his intent to break away from the Galloway Township Republican League. Purdy stated at that time according to Galloway Patch, that decision was because of the problems with Municipal Leader Terry Lucarelli. According to sources, County Committee is expected to convene this evening to vote on a new Leader. Steve Moliver is slated to become the new Municipal Leader tonight. The GTRL will also re-organize and select a new President and Vice-President. The reconfiguration of the GTRL could ring positive for Purdy who is up for re-election this year. Councilman Tom Bassford who was also quoted in Galloway Patch stating he was not in favor of Purdy's movement to break away from the GTRL, is also up for re-election this year. Sources have also indicated Bassford and Councilwoman Whitney Ullman may not seek re-election this year, leaving Purdy the only incumbent left to seek re-election. Bassford and Ullman did not return an email seeking a request to comment. Purdy was not available for comment at time of publication, however sources have indicated Purdy will most likely seek re-election. Check back for details as this story is developing. Although I am overjoyed this convicted fellon is finally stepping down I do not feel this is nearly enough to rid the Galloway Republican Party of the deep seeded corruption. Since Mayor Don Purdy has taken office we have not seen any real leadership in the party. The Republicans spent tens of thousands of tax payer dollars resisting my investigations which ultimately uncovered massive amounts of misappropriated taxpayer dollars and assents during their watch. Finally after a year of fighting the Republicans showed some leadership and denied Steve Bonnani his $51,000 sick time payout. At no time did these Republicans ever publicly thank me for my hard work. They only stood up when forced and after spending about $40,000 is OPRA legal fees fighting with me. In reality what have they done in the past year. Terry stepping down is too little too late. As a registered Republican since age 18 I feel the best direction for Galloway is to remove all members of the GTRL and vote in the Democrats. Galloway needs a future governed by elected officials who have the best interests of Galloway in mind. Harry, I agree with everything you said except the part about voting in Democrats. They are the flip side of the same coin. How about pushing for some fresh new Independent people who don't have to be obligated to the political machine. I hope someday Galloway residents will wake up to the fact that there good qualified people that can make Galloway a great place to live, but will never kneel to the good old boy agendas both political parties use to run their elected positions. America should be about voting for the best candidate, not the party that’s the better of to evils. I don't see anything wrong with the Democrats in Galloway. They seem to be very pro taxpayer to me. I don't think anyone will ever trust the Republicans with Terry lurking.